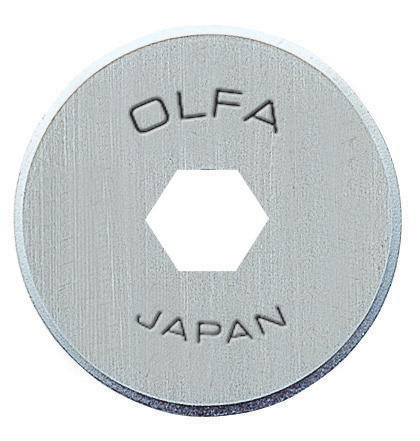 OLFA’s new premium circle cutter is perfect for cutting circles out in fabric. Unique new ratchet handle is simple and easy to use and greatly reduces wrist fatigue. 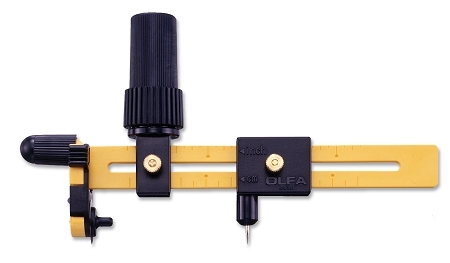 Designed for both right and left-handed use, the circle cutter can be adjusted to cut circles from 1 7/8” to 8 ½”. Even better, no stabilizer is required for use. 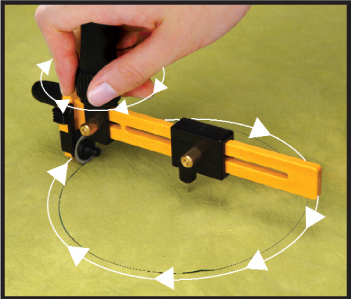 Simply determine the size of the circle required, set your cutter accordingly and you’re ready to cut! Uses OLFA’s RB182 replacement blades.